Major League Baseball’s partnership with MGM Resorts could have drastic — and potentially unforeseen — implications on Minor League Baseball. President of Minor League Baseball Pat O’Conner didn’t want to use the term “scandal,” but expressed concern over the impact gambling on games could have in the minors. O’Conner told Michael Silverman of the Boston Herald the low pay of minor leaguers makes it far more likely they’ll be successful targets for corruption. The scenario O’Conner lays out is eerily similar to the Black Sox scandal that rocked baseball in 1919. Eight members of the Chicago White Sox were accused of intentionally losing the World Series. Those players reportedly took money from Arnold Rothstein, who bet against the team to lose the World Series. The White Sox players allegedly took money from Rothstein after being disappointed with the way they were treated and paid by team owner Charles Comiskey. As Silverman lays out, few minor-league players receive a living wage. The disparity of pay between the major and minor leagues is enormous. The major-league minimum is $555,000 this year, with the average salary at $4.09 million last season. Minor-leaguers with some major-league experience or who get a first taste of the big leagues this season will make either $90,400 or $45,300 this season. But that population amounts to a fraction of the approximately 7,500 minor-leaguers who do not get paid for spring training, receive a $25 food per diem and receive a monthly salary (for five months) ranging between $1,100 at Single-A ball up to a higher four-figure monthly salary in Triple A. A Major League Baseball official agreed that minor league players would be more vulnerable to corruption. 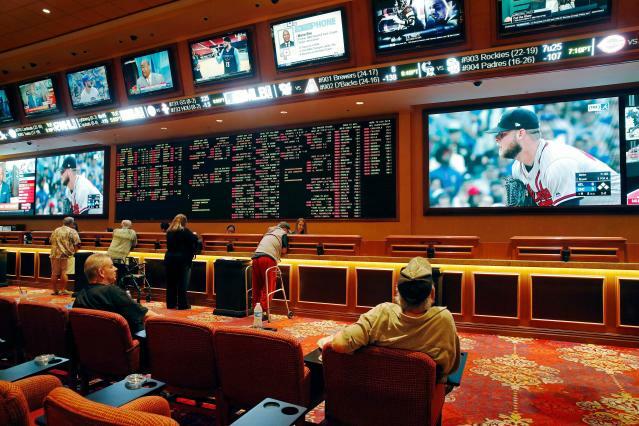 Senior vice president of Major League Baseball Bryan Seeley told Silverman the league would monitor minor league betting and make adjustments as necessary. It’s unclear how much fans will actually wager on minor league games. While O’Conner paints a dire picture, there’s a chance gambling on minor league games would happen at such a small scale that the situations he outlined never come to pass. Still, O’Conner is right to be concerned. There are a fair amount of similarities between this current situation and what led to the Black Sox scandal, and baseball would desperately like to avoid that happening again.